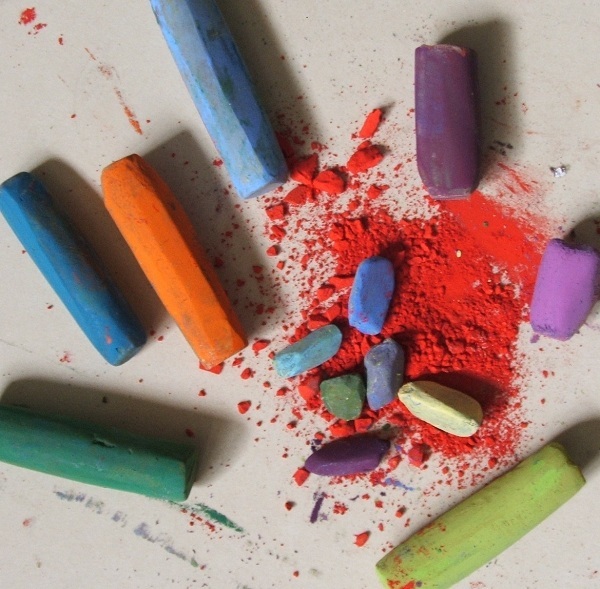 Pastel is a very fine chalk, ground with pigment and bound into sticks. The general impression is that pastel, being just a powder, must be a highly vulnerable medium, with little permanence. It is true that, until it is framed under glass,smudging and paint loss may occur, but once protected, it remains the same for hundreds of years without cracking, browning or foxing. The majority of cave paintings are composed of pressed powder pigment similar to that which is used today, so pastel may be considered the oldest painting medium. The preconceived ideas of what a pastel should look like are being broken down and gradually more progressive and experimental painters are discovering its possiblities.